Will Chidinma Continue With Braids? Chidinma, whose real name is Chidunma Ekile seems to be on a comeback route as she has definitely change her outlook in a recent photograph in which she spots on shade and a hair hairstyle. Since her days in the MTN Project Fame West Africa competition, Chindinma has been known for her signature low-cut hairstyle. 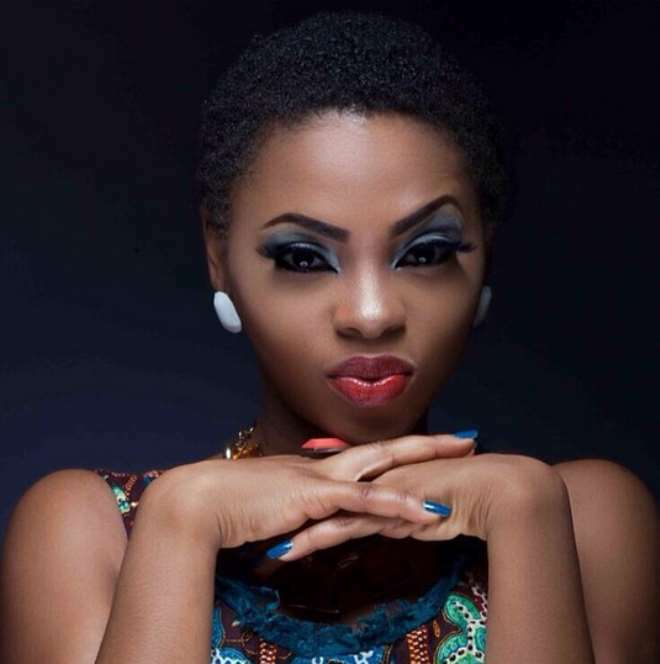 But in this recent photograph, Chidinma is spotted on a dark shade and strands of her hair curled to the side. She features in the new video of VJ Adams with Oritsefemi. The song is entitled 'Melo'.